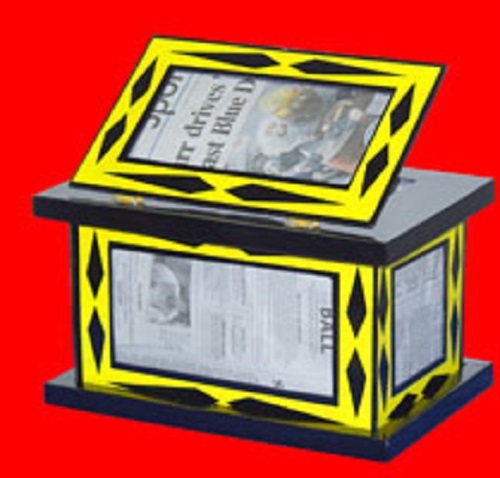 A dove or other object to be vanished is placed into a newspaper covered chest. In rapid succession the chest is taken apart and each side is bursted over the magician’s or assistant’s arm to prove its emptiness. The dove has completely vanished! This product was added to our catalog on Thursday 03 June, 2004.